Fairfield and Hampton do battle in last weekend's match at Field Lane. Picture by Paul Smith. FAIRFIELD Villa maintained their strong recent form, and their 100% record in 2019, by thumping Hampton 6-1 at Field Lane on Saturday. The result makes it a second drubbing of the season against last weekend’s hosts, given the 8-1 result at the Recreation Ground back in November – the latest victory making it six wins in a row for Villa. A bitterly cold afternoon was somewhat in contrast to the white-hot attacking threat of Fairfield – who still managed to blow away their opponents despite missing a number of names in their match-day squad. It presented a perfect opportunity for new signing Alex Wilkes to take a starting berth in the side, alongside Scott Mancell, Shae McNally and substitute keeper Liam Doyle who also featured from the start. Dan Ludlow looked impressive in the centre of the park and proceeded to dictate the game for Villa, whilst Ellis Blakemore’s pace down the right flank continued to pose problems for the hosts. It was no surprise then when Fairfield took the lead in the 12th minute, Blakemore was put through on goal after an incisive through ball and sprint past the opposition defence, finishing the move by chipping the ball over the keeper for the opening goal. Just five minutes later and the lead was extended, this time Ludlow the scorer. He received from Michael Collins and then proceeded to thump a shot on his left-foot past the Hampton keeper for Fairfield’s second. The game was quickly becoming out of sight for Hampton when Fairfield went 3-0 up after 20 minutes, Collins getting on the scoresheet after turning provider following a bursting run down the right by Matt Jackson. Villa conceded just after the half-hour mark but made amends when Alfie Bloomer picked out the top corner to make it 4-1 after 35 minutes, whilst Scott Smith found himself fortunate when only receiving a yellow card for a late tackle on a Hampton forward. Collins suffered a hamstring strain and was replaced by Jarred Hill at the half’s end, although his exclusion from the game had little bearing on proceedings as Bloomer smashed home his second of the game when meeting Blakemore’s reverse pass. 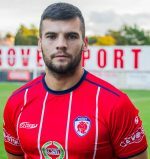 The Fairfield striker then wrapped up his hat-trick and the scoring when rounding the keeper and slotting home in the 59th minute. 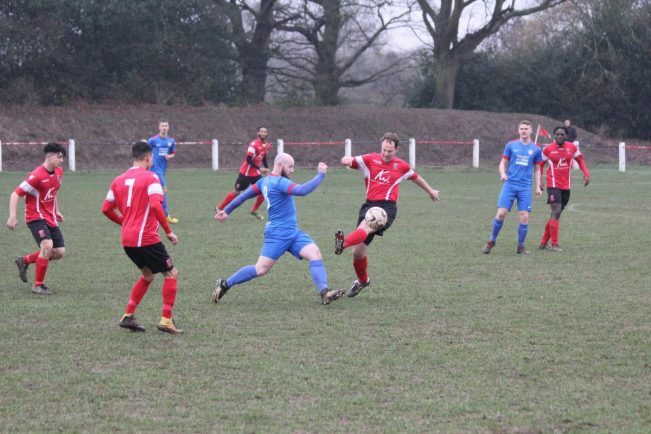 A win keeps Fairfield sitting in fourth, eight points off the leaders Northfield Town and with a game in hand, as they next welcome Coton Green to the Rec on Saturday (2pm). Elsewhere, the club have been drawn against Pershore in the Smedley Crooke Memorial Charity Cup quarter-finals, taking place on Tuesday 5th February (7:45pm) at the Community Stadium in Pershore.